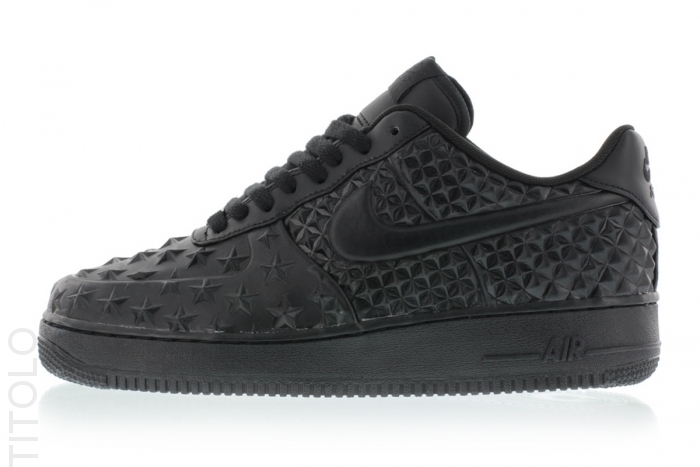 You Can Cop The Nike Air Force 1 LV8 VT Stars “Black” Today! Following the 4th of July's release of the Nike Air Force 1 LV8 VT Stars in Red, White, and Blue, a new colorway of the sneaker is now available for purchase! This new rendition of Nike Air Force 1 has caught the attention of many with its interesting aesthetic. The sneaker sports a busy upper filled with stars and pyramid shaped textured designs.